See scan - perfect condition. This is a nice Romanian / Rumanian communist / socialist era medal for perfect service and Agricultural Merit - MERITUL AGRICOL. 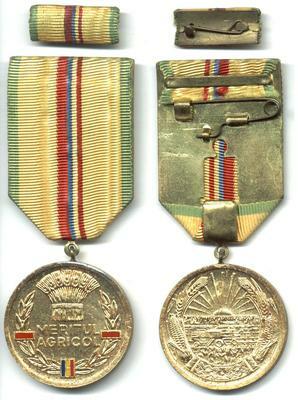 Medal comes with small ribbon chart as well. Nice collector piece and one of the nice Romanian medals.